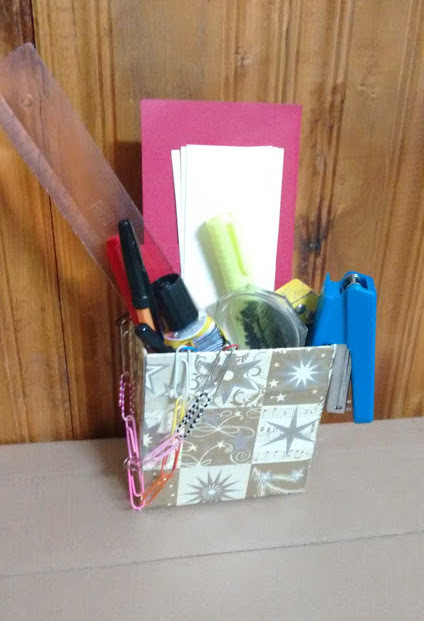 I wanted to show you how to make a pencil case from an unnecessary paper box in 10 minutes. Everyone has a leftover wrapping paper and boxes from the holiday gifts - don't throw them away! You can make a beautiful pencil case. 1. Glue with tape if some of the sides of the box are torn to get a well formed box. 2. 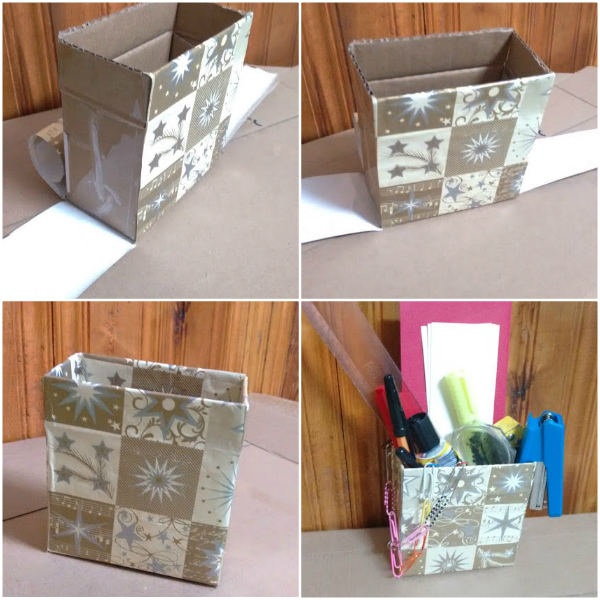 Take a wrapping paper and place the bottom of the box on its inner side, outline with a pencil (a square or a rectangle depending on the type of the box). 3. Then measure the height of the box with a ruler. 4. Using the pencil and the ruler, apply the value of the height + a few centimeters (about 4-5 cm) dropping straight from each top of the square / rectangle you previously outline. 5. Cut the form with the scissors. 6. Glue the bottom of the box and press it to the square / rectangle of the wrapping paper. 7. 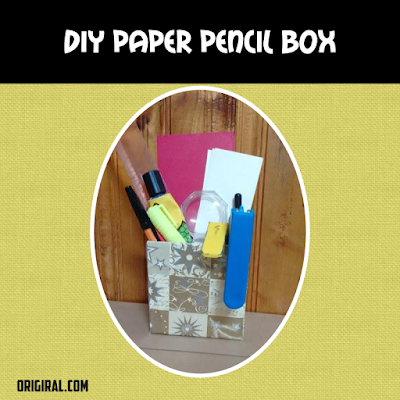 Then glue each part of the paper and press it to the sides of the box. Now you have a beautiful pencil box!